A serendipitous twist landed Ida Bjoerklund, a gymnast in her native country of Norway, in Stillwater after she decided to spend a year studying in the United States. Bjoerklund had been involved with gymnastics for a decade in her hometown of Asker, Norway, a suburb of the capitol city of Oslo. She made it to the elite level, even taking a few turns with the Norwegian national team. 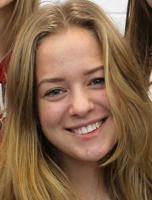 But a desire to experience life away from home led her to a foreign exchange program. 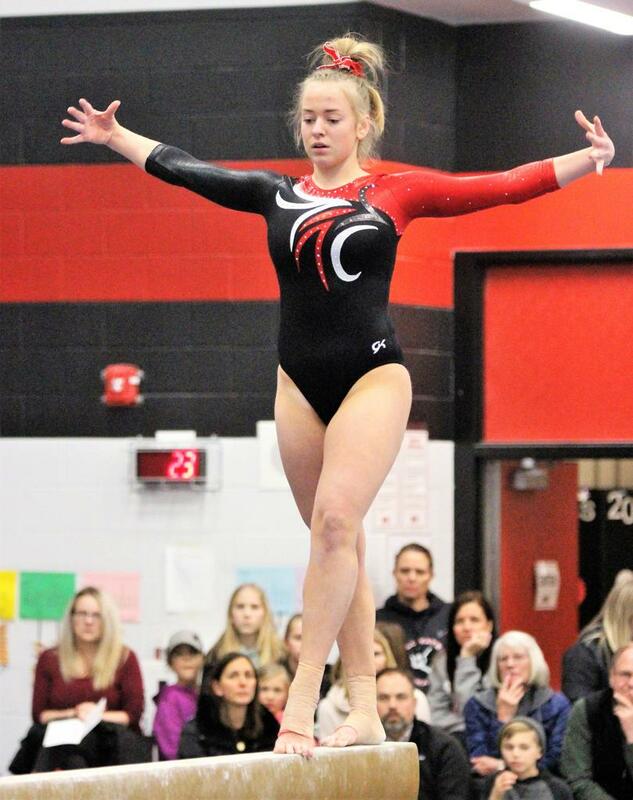 She ended up paired with a family in the Stillwater school district, which happened to boast a high school gymnastics program that won the 2018 Class 2A team championship. Bjoerklund will play a key role for the Ponies when they take the floor at the U of M Sports Pavilion Friday in the gymnastics state meet. The defending champs have a strong returning lineup from 2018, led by the senior trio of all-arounders Isabel Bartosh and Gretchen Sharp and captain Sami Chang, a three-event specialist. They’re peaking at the right time, posting a season-best team score of 149.975 in winning the Section 4 team title. Bjoerklund’s focus is on two events, the balance beam and the floor exercise. A shoulder injury she suffered in Norway required surgery last May and is the reason she doesn’t compete on the uneven bars or the vault. She finished second on the beam and tied for third in the floor exercise in the section meet, meaning that she will be competing in both Friday’s team competition and Saturday’s individual events. The state meet, like pretty much everything Bjoerklund has been involved with since arriving in August, will be another new experience. Which is why she came to the United States in the first place. There was some acclimating to do. She’s had more pasta than she ever did back home. She discovered Chipotle and Taco Bell, but also that American chocolate is lacking. “I miss Norwegian chocolate,” she said. In Norway, high schools don’t have athletic teams. Finding out Stillwater had a successful gymnastics program piqued her interest. Stillwater coach Joan Ledson said Bjoerklund came in with a level of training that many of the Stillwater gymnasts had not experienced, giving team members insights they may not have had. The state meet will be Bjoerklund’s gymnastics swan song. She’s stepping away from the sport after it’s over, the cumulative effect of numerous injuries having taken a toll on her body. • Teams: Class 2A has no clear favorite. Stillwater looks strong again and Owatonna has been ranked either No. 1 or No. 2 all season. East Ridge harbors serious hopes if it can avoid the injury bug that has hampered the Raptors in each of the past two seasons. Lakeville North, Maple Grove and Cambridge-Isanti have darkhorse potential. In Class 1A, Detroit Lakes is considered the state’s top team regardless of class. The Lakers are seeking their fifth consecutive title. Individuals: Champlin Park’s Chaney Neu, who has won the last two Class 2A all-around championships, looks poised to win another, barring a catastrophe. Her score of 38.925 was the top reported all-around score in the state this season. Among others to watch: Lakeville North’s duo of Rachel Steiner and Anna Altermatt, East Ridge’s Cassie Kahrer, Cambridge-Isanti’s Char Morke and Edina’s Kelsey Neff. In Class 1A, the first year of Mahtomedi junior Bella Frattalone’s high school gymnastics career could hardly have gone better. Frattalone tied a Mahtomedi team record with a 38.75 all-around score during the regular season. Her primary challenger will likely come from Section 8 in Detroit Lakes’ Cora Okeson and Jackson Hegg, and Perham’s Jada Olsen.